At Cairns Rentals property management, we care for your Investment Property as if it is our own. You deal directly with Paulina, the owner who will provide you with an incredible service you may not have experienced before. Paulina’s focus and commitment to you, your property and tenant is 100% at all times. We have a thorough Tenant Selection Process where we place great emphasis on the quality of tenants we supply. We use a national defaulting data base together with the ability to monitor rental histories . We are very careful when it comes to selecting tenants. This ensures your tenants will appreciate your property and with our guidance and management look after it like as if it was their own. Your aim when investing in real estate is to get the best return on investment possible. Our goal is to provide you with that return. Our service to you includes advice and recommendations on how we would present your property in the way that will not only attract the best tenants but long term tenants. Keeping your vacancy rate non existent. After operating a property detailing business for several years, our high standards and expectations ensure your property is property cared for maintained and not run into the ground. We inspect each property once every 3 months and provide you with detailed report of the properties condition and any works required to ensure no unnecessary damage is caused. During each quarterly inspection, we identify any areas that require attention and we ensure they are attended to before they contribute to early detraction of building materials, fittings and fixtures. Many of our investors require a totally ‘Worry free package’, we can arrange to have all accounts relating to your property paid – rates, body corporate fees, landlord protection insurance, electricity accounts and any others that may arise. 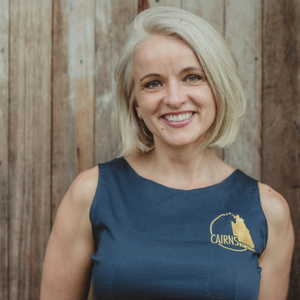 Cairns rentals property managers care for your investment and always achieving best possible rent, regularly monitoring the market. It is important that a property is maintained in excellent condition to attract the best possible tenant. Tenants will often have a choice between several properties, so presentation can be a deciding factor.